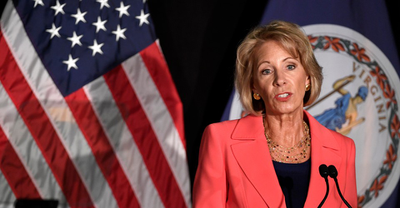 The civil-liberties organization now favors many of the due-process protections proposed by Secretary of Education Betsy DeVos. Important, perceptive piece from @conor64 on @ACLU's (welcome) shift endorsing greater due process protections for the acc'd in TIX cases: "On matters of due process, [the ACLU comment] aligns more closely with the Trump approach than the Obama approach." In campus sexual misconduct cases, the ACLU favors a “preponderance of the evidence” burden of proof. I make the case that “clear and convincing evidence” is a better standard.